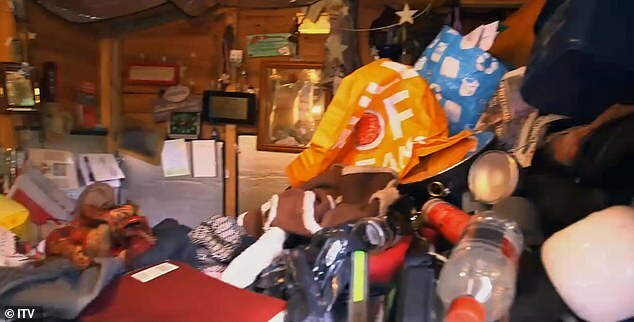 An extreme hoarder has revealed how she was forced to sleep in the shed for six years, after her house became so filled with three decades of clutter that there was no space left for her. 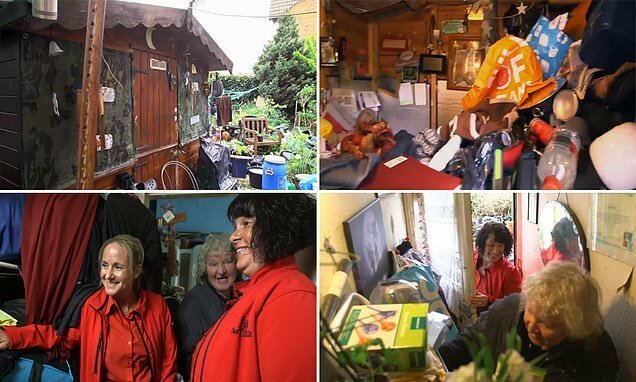 Pamela, a pensioner from Southend, appears on ITV1’s Call The Cleaners on Tuesday, and leaves even extreme cleaning sisters Yvonne and Angela shocked as they can barely get into her home. 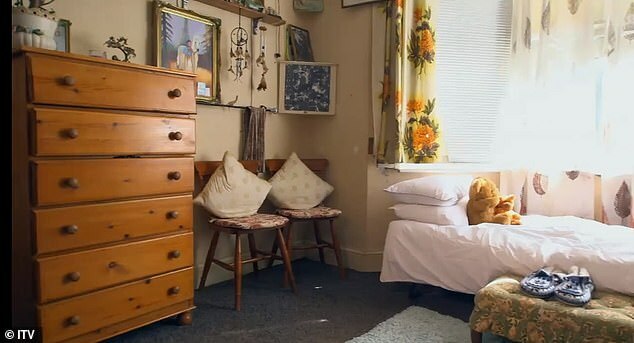 After 30 years of collecting second-hand objects, books, boxes and knick-knacks, her house is at bursting point and Pam even admits that she hasn’t seen her own bath in 20 years. 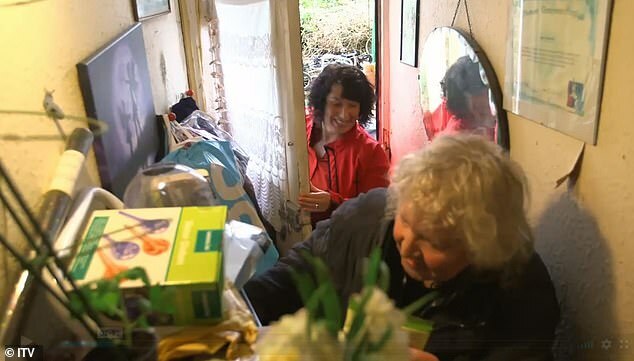 The sisters have just four days to clear enough space for her to get back in her home, with Pam admitting that her hoarding habit means that she ‘comfort shops’ when she is depressed. 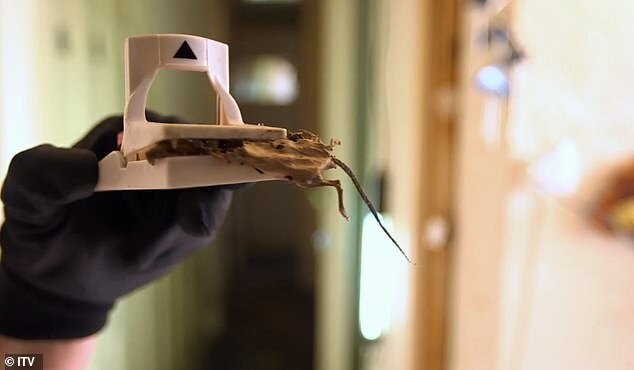 The shocked sisters are seen struggling to get into the home, as they battle to get by the clutter which is stacked to the walls. However, 30 years of not throwing anything out means that each of Pam’s rooms is packed to the rafters. 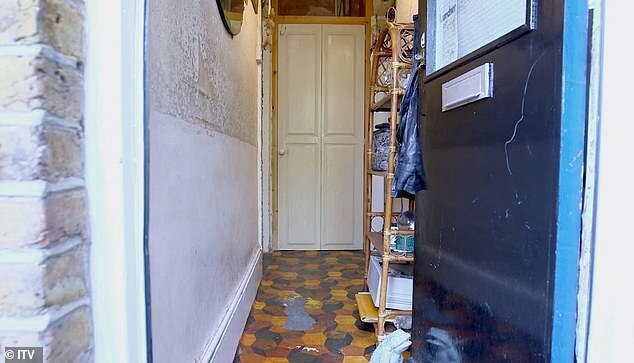 ‘The hallway is the clearest. I breathe in and hope for the best,’ Pam says as she attempts to show Yvonne and Angela her home. 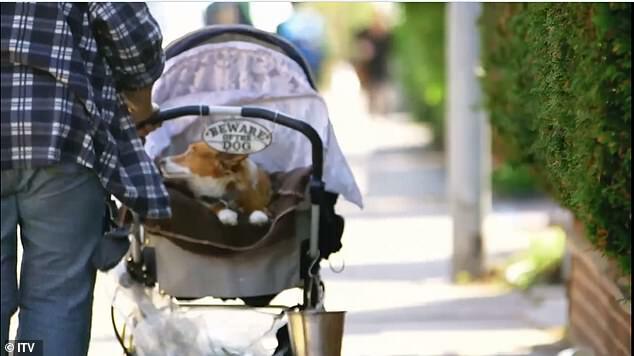 Explaining her situation, Pam, who lives with her disabled dog Crystal and has a love for browsing antique and charity shops for bric-a-brac, admits that she finds comfort in shopping. ‘When I get depressed I comfort shop- but then I give it to people’, she says. Even the microwave in the kitchen is used for storage, as she is heard exclaiming: ‘It keeps it cool doesn’t it!’. 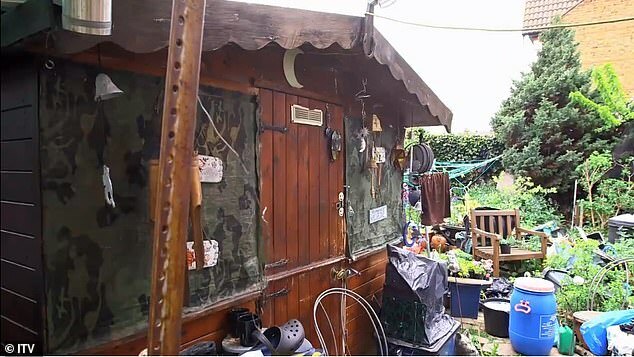 Her bathroom is so full that the bath isn’t visible, and Pam has been forced to sleep ‘down the garden’ in the shed for the past six years. The tiny shed, which Pam sleeps in during the freezing winter months, is also getting so full that she has to crawl into it for shelter. 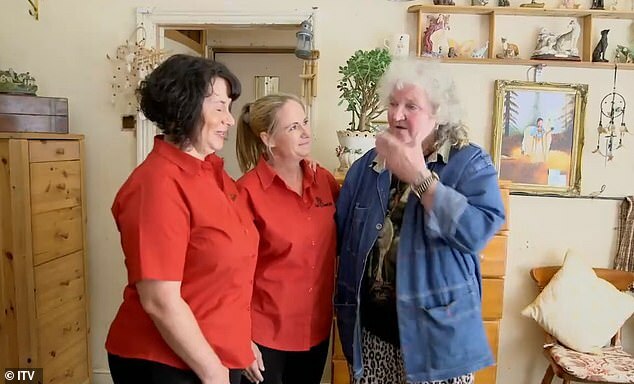 And with four days to clear the mountains of mess, the team use a forgotten empty room Pam lost the key to three years ago, to move around Pam’s colossal hoard. Moving out dozens of boxes filled to the brim, paperwork, and endless bric-a-brac, the sisters are faced with an array of unpleasant objects. Horrifically they even come across headless mice, still attached to the traps they were caught in years ago, which have been there for so long that they are partially decomposed. 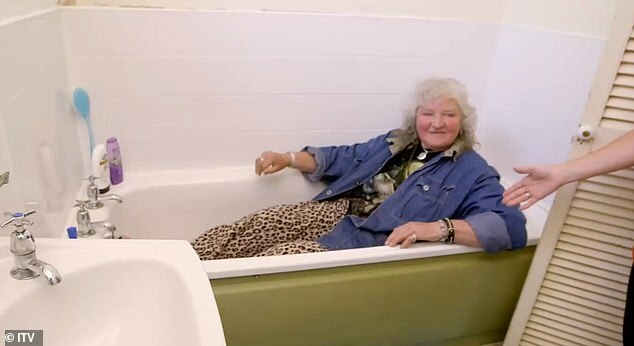 But it’s all worth it when they bring an elated Pam back to the home, who is seen dancing through the empty hallway and sitting in her recovered bathtub. ‘I haven’t seen the windows in years. You normally can’t stop me talking but I’m speechless,’ an emotional Pam admits as breaks down into tears. ‘I’m so happy’. I’ve got a new lease of life’, she says, thanking the sisters. 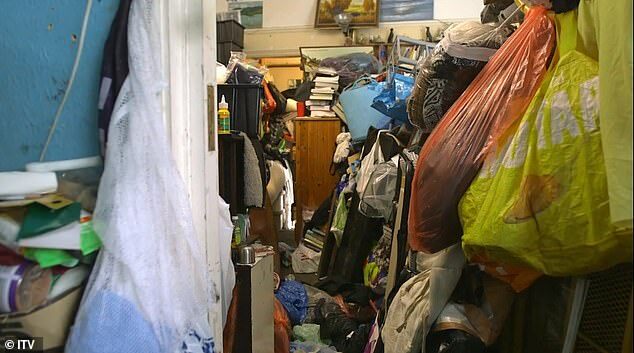 Speaking about Pam, they admit: ‘We’ve met so many hoarders but Pam is one of the worst’. Call The Cleaners returns to ITV1 on Tuesday 5 February at 7.30pm.